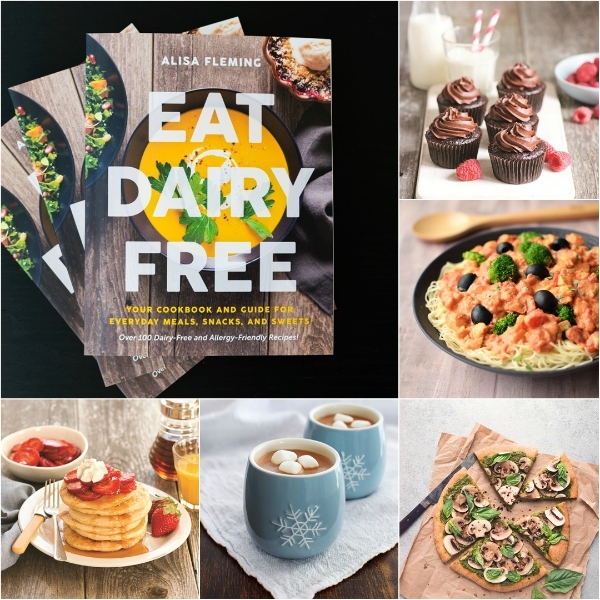 My friend, Alisa Fleming from Go Dairy Free, has written a comprehensive book for people who eat dairy free. Not only are these recipes dairy-free, but most have been tested with gluten-free, nut-free and soy-free options, too. 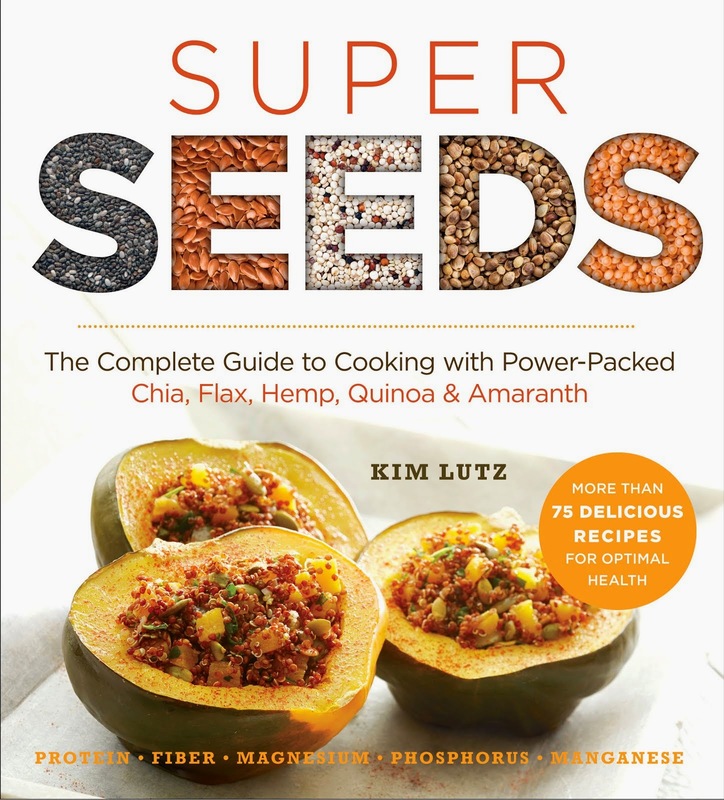 I have really been enjoying cooking from this cookbook. I made a batch of the Rich Thai Dip, but I omitted the sesame oil, because I know that some of our Welcoming Kitchen readers need to avoid sesame. I also used sunflower seed butter to keep it nut-free. It was delicious. The tip about steaming the sweet potatoes instead of baking them made this dip a lot quicker to prepare, too. My family has been enjoying the Cowgirl Cookies in their lunches, and I can't wait to try the Roasted Carrot Bisque. 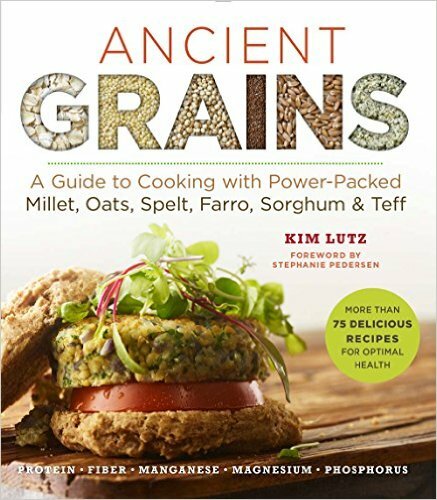 There are so many recipes in here that are solidly delicious. It launches today, so I recommend that you run out and get a copy of Eat Dairy Free. From Alisa: While I truly enjoy this savory, sweet, and spicy thick dip with steamed broccoli, it also goes nicely with bell pepper strips, baby carrots, snap peas, or blanched cauliflower. 1. Cut the broccoli into stalks and steam for 3 to 5 minutes. For dipping purposes, broccoli stalks that are relatively crisp-tender work best. 2. Put the sweet potato, nut butter, 2 tablespoons lime juice or vinegar, soy sauce, sweetener, oil, ginger, and crushed red pepper in your blender or food processor and blend until smooth, about 1 minute. Taste, and if desired, blend in the remaining 1/2 tablespoon lime juice or rice vinegar. 3. 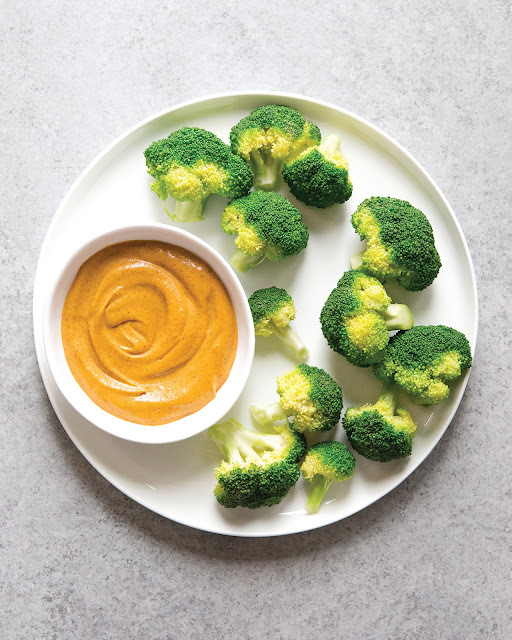 Serve the dip immediately with the steamed broccoli stalks, or cover and refrigerate it for 1 hour to thicken before serving. If it becomes too thick, whisk in water or milk beverage, 1 teaspoon at a time, to thin. 4. Store leftovers in an airtight container in the refrigerator for up to 2 days. Sweet Potato Tips: To cook whole sweet potatoes, peel and cut them into 1/2-inch disks, then steam for about 15 minutes. Steaming preserves more of the flavor and nutrients than boiling. For a super-fast dip, you can use canned sweet potato puree. If you don’t have sweet potatoes or sweet potato puree on hand, squash, carrot, or pumpkin puree makes a tasty substitute. Credit for this Recipe: This recipe is reprinted with permissions from Eat Dairy Free: Your Essential Cookbook for Everyday Meals, Snacks, and Sweets by Alisa Fleming (BenBella Books, 2018). Photo by Nicole Axworthy. I have to try that Thai dip! It looks amazing. It is, Wendy, and so easy! Thank you SO much Kim! 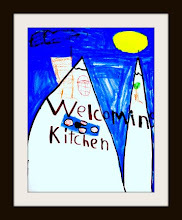 I'm so happy to hear that you are enjoying the recipes and really appreciate the adaptions you made to the recipe. Sesame is definitely becoming an issue these days! It was still really tasty, so everyone can enjoy this one! I'm sooo excited about this book!! I am always trying to recreate dairy free things that hubs will eat and these are it.